At the headquarter of Morgan & Morgan law firm in Orlando, FL our personal injury lawyers represent victims in the Orlando metropolitan area. If you have been injured as a result of medical malpractice, a car accident or a negligent, we are here to help you get the compensation you deserve. Our Orlando office is a leading personal injury law firm representing accident and injury victims across the Orange County and Central Florida. We have the resources to aggressively pursue personal injury lawsuits seeking compensation for lost wages, medical expenses and other damages. Your lawyers get sidetracked on something in the past, not on the case. Don’t even interview the dr taking care of patient for last 2 yrs. now we are losing case over something insignificant. Client is hurt for life, and Dr never contacted! BS! Coulda, shoulda, woulda. Accident still happened! Sane thing with me, tried your firm with 2 different matters an never even called back as stated someone would. 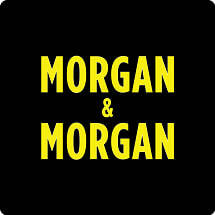 No good recommendation from me for Morgan and Morgan!! Do I Need a Medical Malpractice Attorney in Orlando?